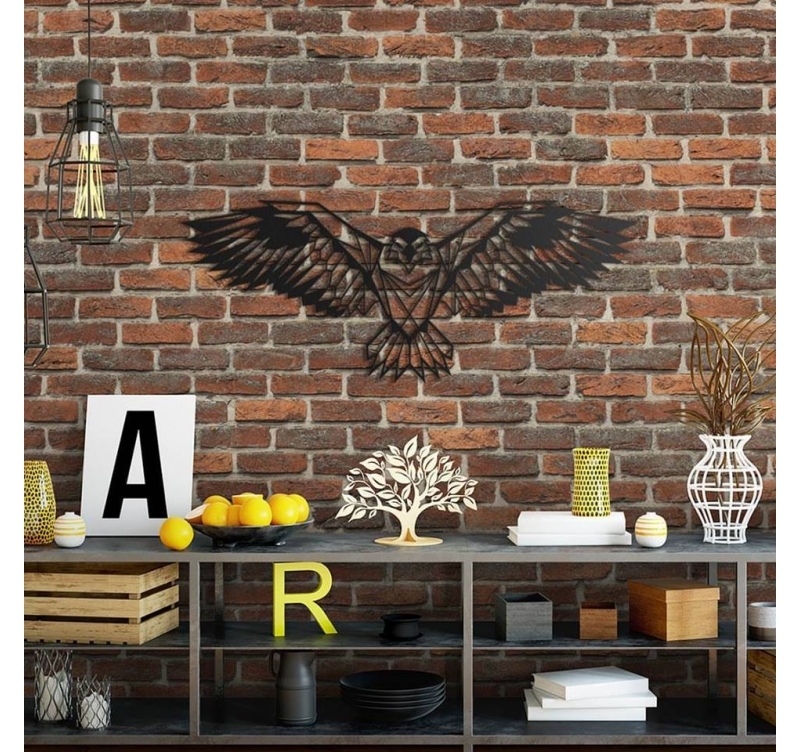 Dominate the sky with this eagle metal wall deco ! Contemplate this eagle in full flight with our design metal wall decoration. The dimensions of this design animal wall deco are 80 x 35 cm. This metal bird decoration is delivered free in metropolitan France and Belgium. Who has never dreamed of being a royal eagle and fly freely through the sky ? Artwall and Co proposes you to make your dream come true with this animal metal wall decoration. 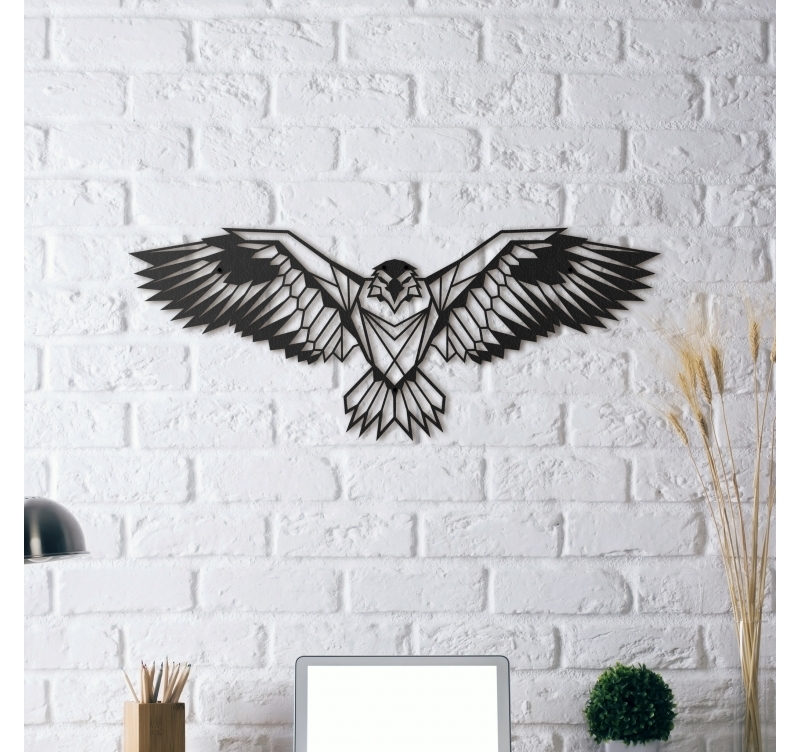 With large wings this bird metal wall deco will highlight your interior with a contemporary touch in your different rooms. 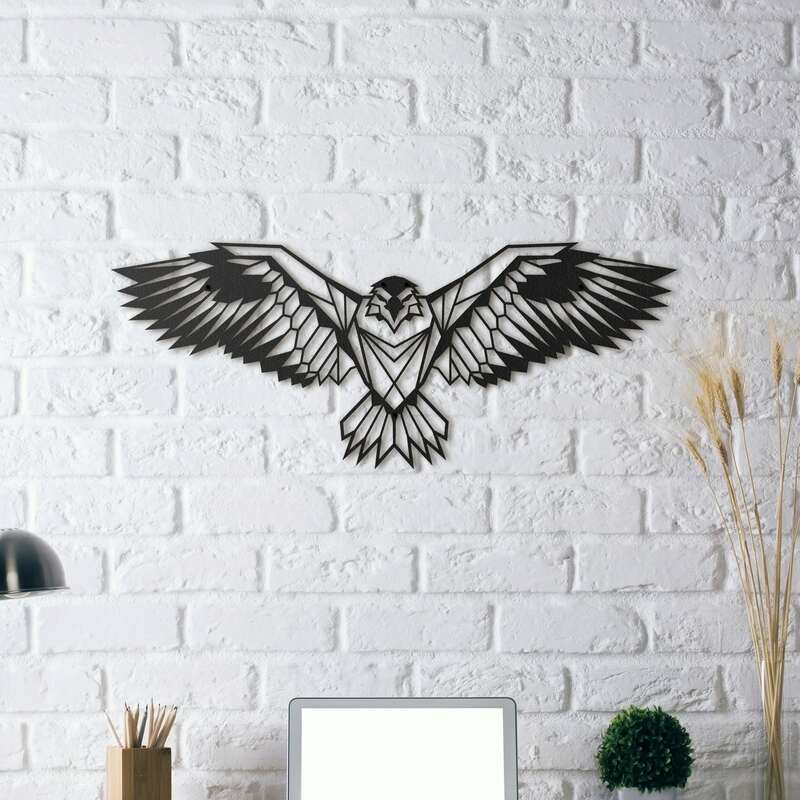 With very geometrical lines and an origami style this nature design wall decoration will take you up high to contemplate this unique royal eagle on a design metal sculpture ! All our animal metal wall decorations are hand made by our creators and treated with a black finish for a long lasting quality. This royal eagle metal wall decoration is delivered wrapped in foam in a protective cardboard box for a safer delivery. Do not hesitate to discover all our animal wall deco for a trendy interior.